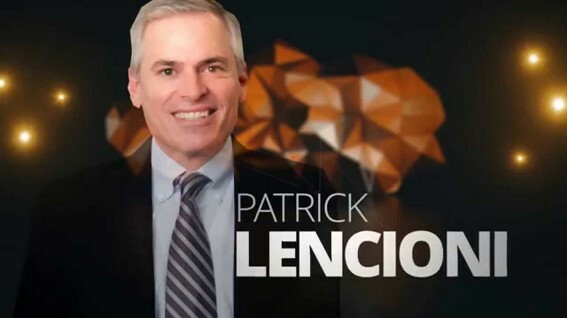 Recognized as a true pioneer in leadership and business, Patrick Lencioni is a New York Times best-selling author and according to the Wall Street Journal “one of the most in demand speakers in America.” In 2008, he was named by Fortune magazine as “one of the new gurus you should know.“ Pat is the author of 10 books which have sold nearly 5 million copies and been translated into more than 30 languages. He has addressed millions of people at conferences and events around the world over the past 15 years. Pat has written for or been featured in numerous publications including Harvard Business Review, Inc., Fortune, Fast Company, USA Today, The Wall Street Journal and BusinessWeek. A master storyteller, Lencioni inspires audiences with his combination of insight, accessibility and humor. Though each speech is customized to the unique needs of his audiences, Lencioni most frequently addresses topics ranging from organizational health and teamwork to leadership and employee engagement. Attendee’s will be able to purchase a copy of Patrick’s newest book “The Advantage”. Today, Doug can be found inspiring audiences around the globe as a leadership speaker with his game-changing questions, animated stories, actionable content and engaging stage presence. And like Walt Disney, Doug believes that “laughter is no enemy to learning” infusing his singular style of fun and humor into every presentation. Attendee’s will be able to purchase a copy of Doug’s newest book, “Disney U”. Recommendations: Bringing cash or check, if interested in purchasing books from our speakers, $TBD. After 5:45 pm, bars will remain open until 7:00pm, but will be a cash bar. Complimentary parking ticket will be given at the registration table with proof of kiosk ticket from the Penn Square garage on Duke Street. ATM machine will be available in the Main Hotel Lobby, located in the Sundry Shop to the left of the front desk.